This product is eligible for 0% finance. "Pay on finance" option available during the checkout process. Simply select this preference to set your deposit and choose the finance type. From there you will be taken to our finance provider’s website where you can complete your finance application. Visit our terms and conditions for more information on finance. 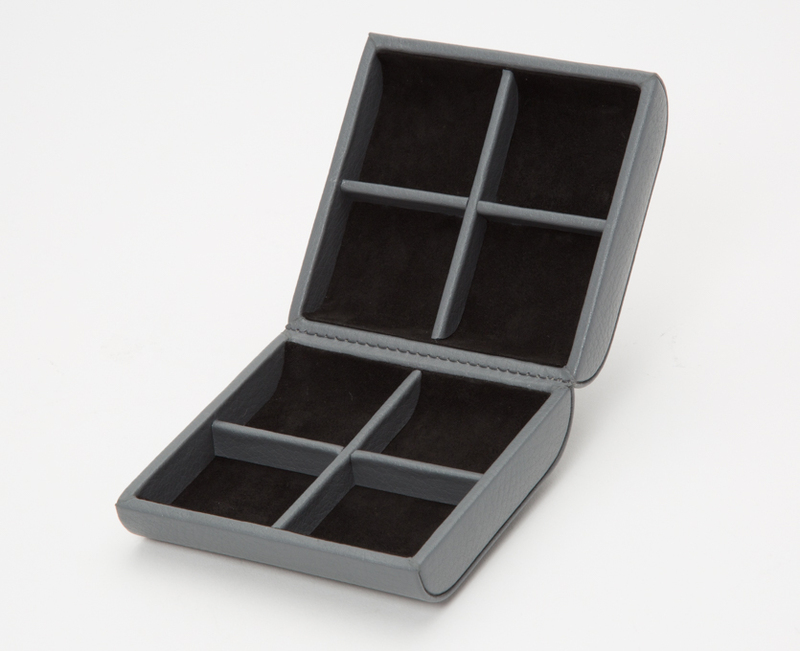 The Howard cufflink box, in pebble leather, remains an easy choice for the traditional traveller who enjoys a bit of fun. The interior is lined with ultrasuede with four compartments for your small accessories' safekeeping as well as a magnetic closure. Please note all items will need to be signed for at the point of delivery. If your order is returned because the postal service or courier were for whatever reason unable to deliver, you will responsible for all return and repeat delivery charges. If someone without authority signs for the purchase at the address you have given us, it will not be the responsibility of T. B. Mitchell.